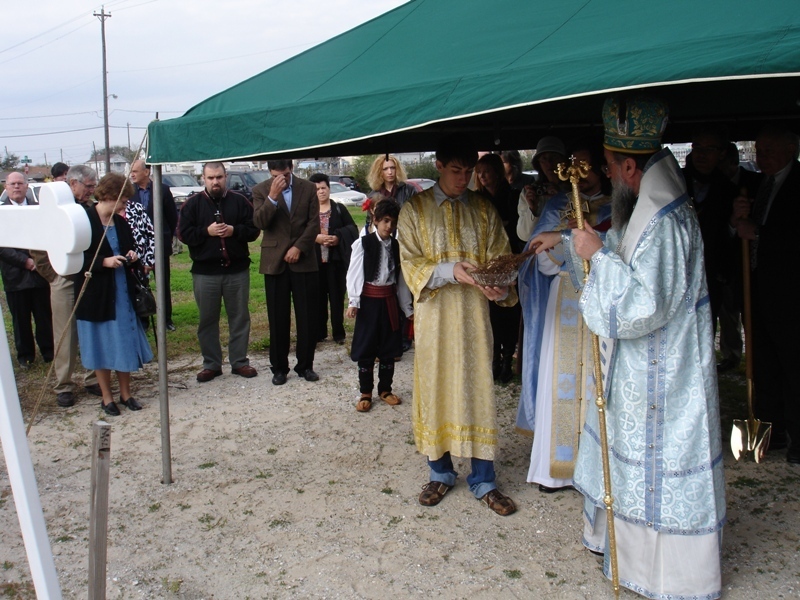 Galveston, TX - After celebrating the Feast of the Entrance of the Mother of God on December 4, 2010, at the Stavropigial Monastery of the Nativity of the Mother of God in New Carlisle, Indiana, His Grace Bishop Longin traveled to Galveston, Texas, to take part in the ground-breaking of the new parish hall. 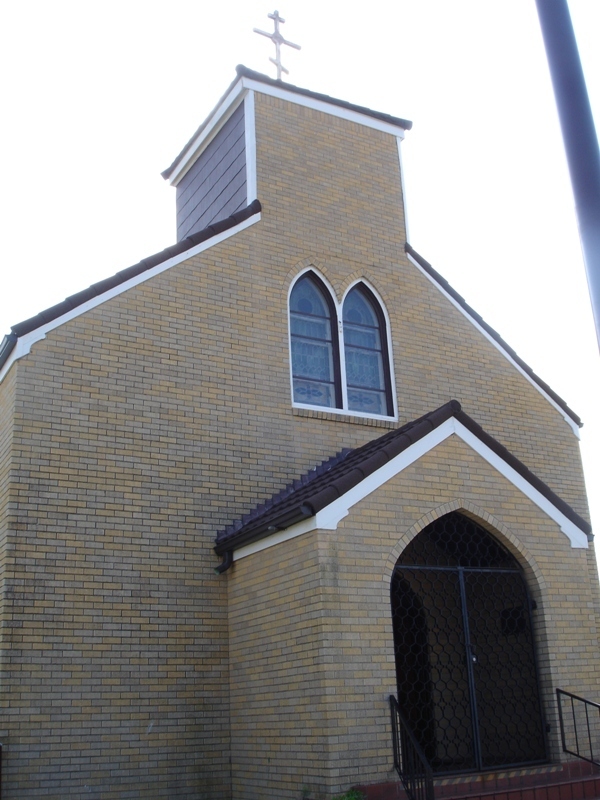 The old hall, as well as many homes of the Parishioners of the Galveston Parish dedicated to Sts. Constantine and Helen, was destroyed by Hurricane Ike in September of 2008. After two years, more land has been purchased and the building of a new hall is planned. 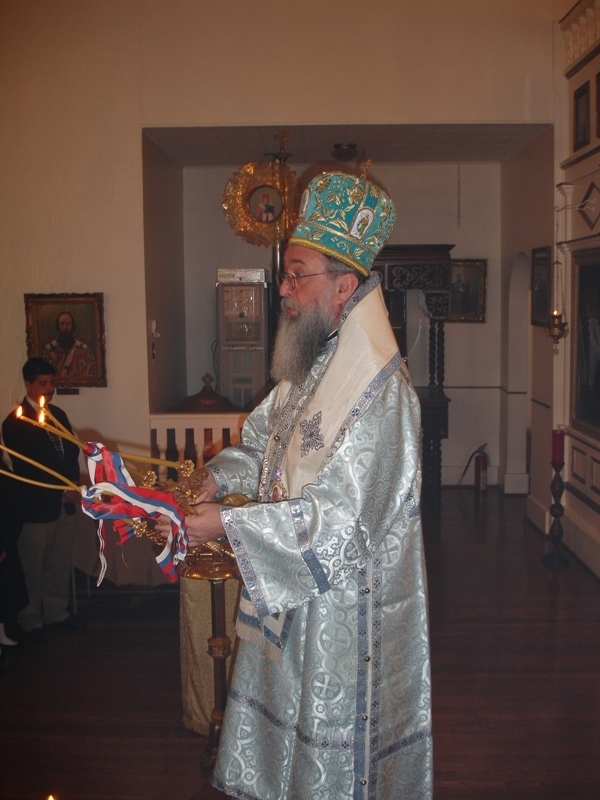 On Sunday, December 5, Bishop Longin served Hierarchical Liturgy at the Church of Sts. Constantine and Helen. 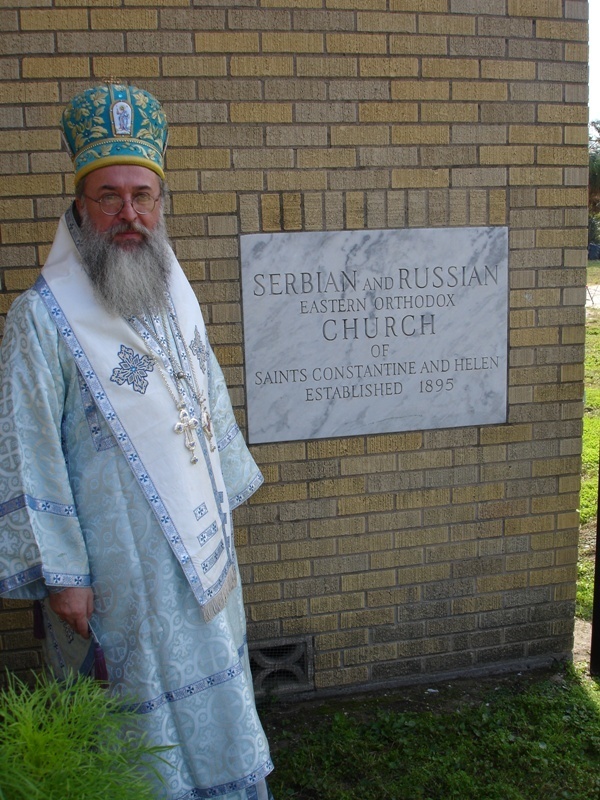 It should be mentioned that this church is the oldest parish and church building in our Diocese – 115 years – and is the second oldest Serbian Orthodox Church in the United States. 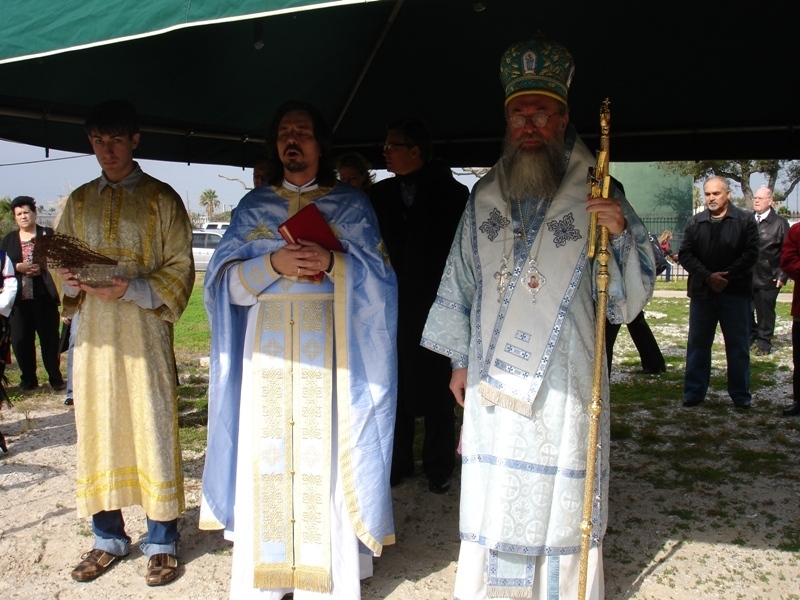 Serving with His Grace were Priest Srdjan Veselinovich and Deacon Nikolaj Kostur. The responses at Liturgy were sung by the parish choir. During the Great Entrance, His Grace remembered Metropolitan Christopher of blessed memory, who was born and raised in this parish. At the end of the Divine Liturgy, Bishop Longin spoke about the importance of coming to church for Divine Services, especially in today’s day in age, since the Divine Services, and especially the Divine Liturgy at which we partake of the Body and Blood of Christ, are what gives us a true meaning of life, keeps us united with the Church and in communion with Christ. 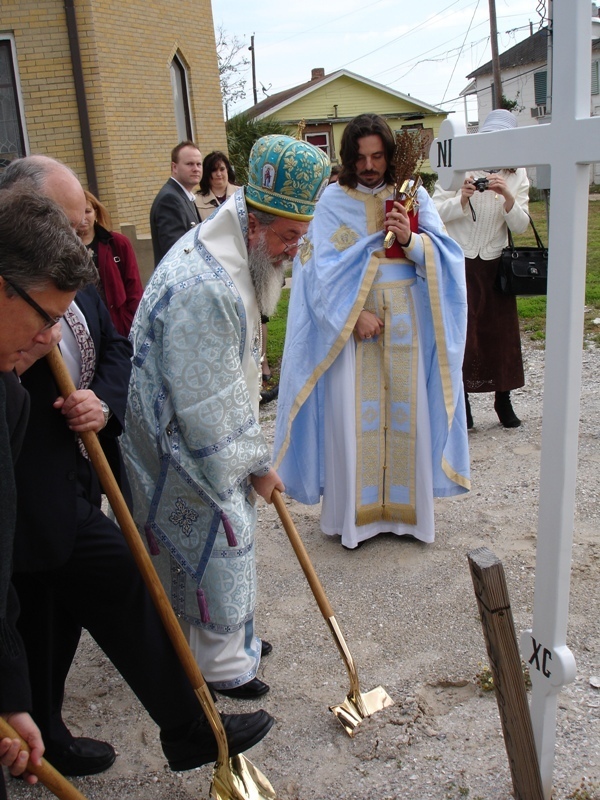 After Divine Liturgy, His Grace blessed the new parcel of land that was bought next door to the church, as well as served the blessing of the founding of the new hall. 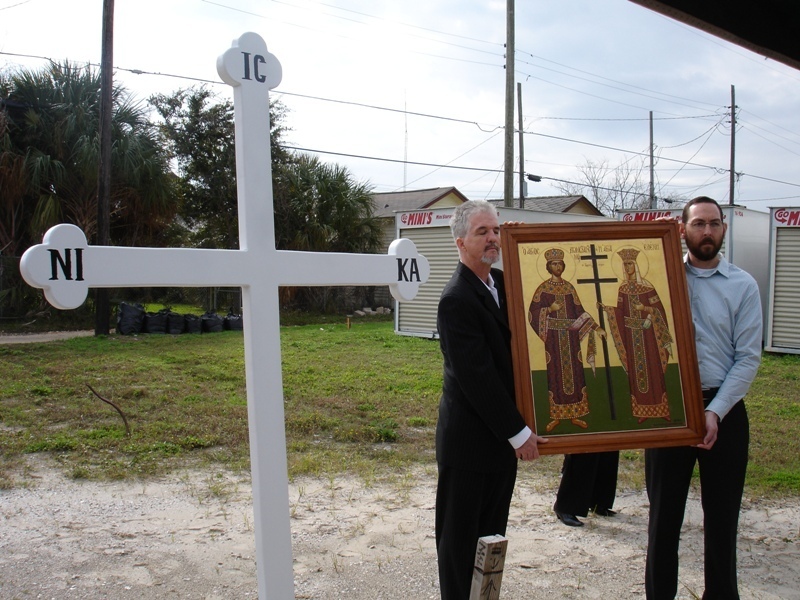 His Grace was the first to break ground along with some of the donors of the parish and Mayor of the City of Galveston. 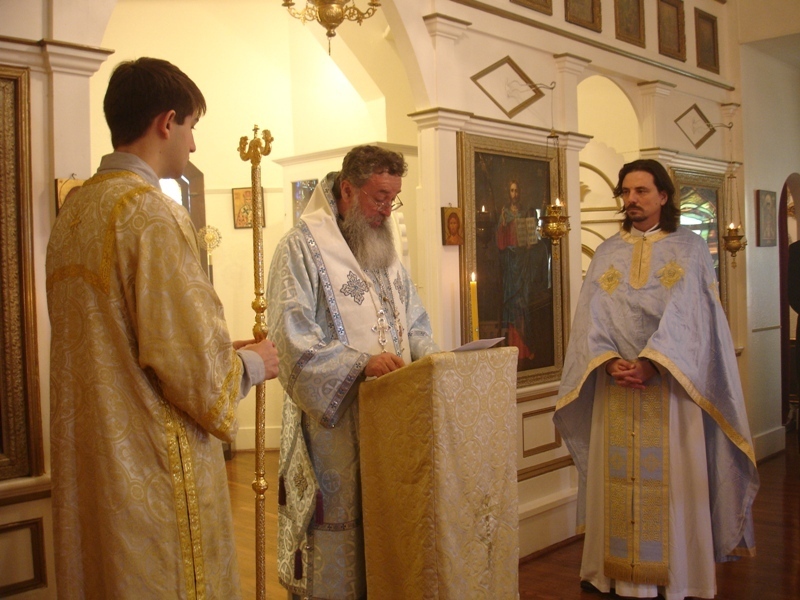 Immediately following, Bishop Longin served a memorial service for the founding priest of the church, Archimandrite Theoclitos Triantifilidis (click here to read about him), who is buried under the altar of the church. Not too far from the church at a local restaurant, a luncheon was held in honor of Bishop Longin’s first visit to this parish and the hall ground-breaking. 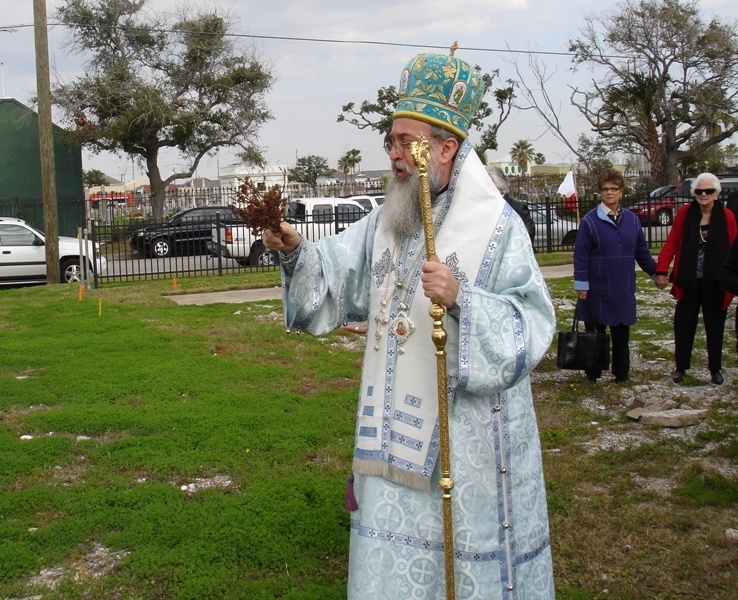 After lunch, His Grace visited the parish’s cemetery, as well as the graves of the parents and siblings of Metropolitan Christopher. That evening, Bishop Longin returned to New Gracanica Monastery.